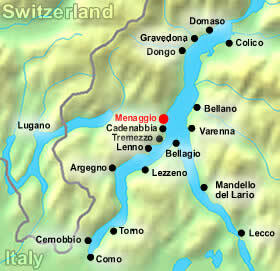 Here’s where we are (red dot)…Watch the Menaggio Italy Video! Menaggio hotels are well suited to every kind of tourist from the student looking for a cheap hostel to the luxury-lover looking for classy 4-star amenities and generally much less expensive than nearby Bellagio. 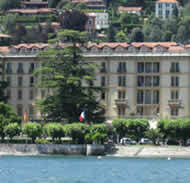 As to the phenomenon of there never being enough Lake Como hotels for the amount of tourists that want to come…You are advised to book months in advance for the summer season. Now you can do a search to compare the rates of all Menaggio hotels by choosing your preferred dates from the search box below OR you can browse through all the hotels listed below. 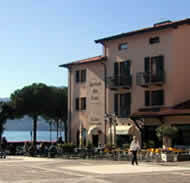 Location: Just opposite the lake in Menaggio’s central Garibaldi square. Description: Family-run and stylish, you will enjoy the superb location and spacious rooms. A delightful restaurant with very friendly waiters is located in the hotel. Location: Facing the lake and next to the ferry terminal. Description: Classy exterior and stunning interior designing. Staffed with very friendly and helpful people. The rooms are quite small and rather tired. 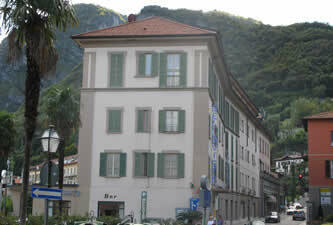 Location: 500 meters from the town center overlooking all of Menaggio. Description: A little tricky to find since its located in a remote area but rooms are very comfortable, clean and spacious and the service helpful. 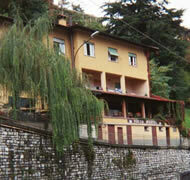 Location: Overlooking the lake and a 10 minute easy walk to Menaggio’s town center. Description: Often used for weddings, the setting is indeed very beautiful with its garden surroundings and proximity to Menaggio’s lovely lakesie promenade. The interior is not as exquisite as the interior but the rooms are clean and adequate. There is also a swimming pool at the back of the hotel. Location: Overlooking the lake and main square of Menaggio. Description: Completely renovated in 2006 and superbly located, this hotel offers its visitors large, well-furnished rooms. It is affiliated with Hotel Du Lac from above. Location: Right on the lake and 300 meters from Menaggio’s town center. Description: Stunning views! Rooms are small but clean. But be sure to get a lakeside room as the other side faces the busy main road. Some people have complained about the owners being unfriendly, but all in all, the staff is very efficient. No Online Booking Available. Call +39 0344 32136 to check rates/availability. 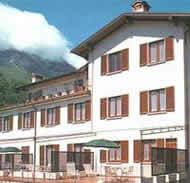 Location: Facing the lake and a 5 minute walk to Menaggio’s center. Description: Enjoy great panoramic views of the lake and an amazing restaurant! This hostel has dorms which sleep 4-7 people in bunk beds and family rooms which sleep 4-6 people and have a private bathroom. No Online Booking Available. Call +39 0344 32356 to check rates/availability. 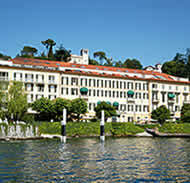 Here is a list of 1 star and 2 star Menaggio hotels which will please our budget travelers. 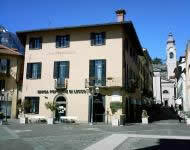 Some of these hotels are located quite a distance from Menaggio’s town center or have only very basic amenities. But if all you want for is a basic room to spend the night in for the cheapest price possible, then one of these Menaggio hotels may be what you are looking for.